As Steve Jobs once said ‘Marketing is about Values. This is a very complicated World, it’s a very noisy World, and we’re not going to get a chance to get people to remember much about us. No Company is. And so, we have to be really clear on what we want them to know about us’ . Business growth is relative to so many nuances today, and Marketing has such a huge part to play. It always has, it’s just that people like Steve Jobs got it far earlier than his competitors at the time, hence where Apple are now. Today, everyone understands how important Marketing is to sustainable success; people are inundated more than ever with a huge amount of information at their fingertips, so if it was a noisy World in 1997 when Apple launched their ground-breaking ‘Think Different’ campaign, it’s positively deafening today. As a result, clear, concise and informative Marketing is even more important than ever. But Marketing takes dedicated teams and huge budgets? To be the best, yes it does, BUT… a huge amount can be achieved by knowing what you are and what you do and focusing on that and that alone. Keep it simple, keep it clear and stay true to your values. As a Microsoft Partner, ISAAC benefit from the knowledge and expertise that is prevalent throughout one of the World’s leading technology companies, as well as their 39,000 partners Globally. We have a dedicated and growing team who are focused on delivering excellence to our customer base, both in terms of solutions and innovation, and it’s this team, without any dedicated marketing resource, who combine to create our marketing campaigns across Web, Blog and Social. 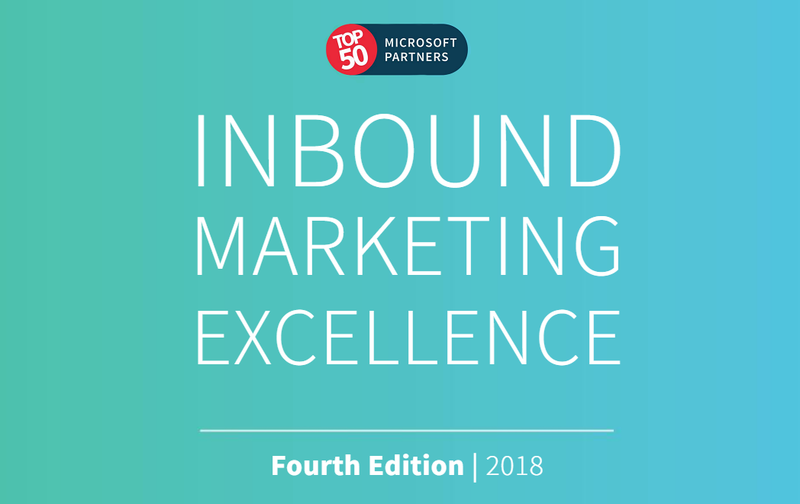 ISAAC are therefore incredibly proud to be featured in the Fifty Five and Five (the Microsoft Partner Marketing experts) Top 250 Inbound Marketing Excellence Report 2018. Ranking at no 72, this is a huge accolade for our business and people. So finite is the dedication here.. we’re already plotting our entry into the Top 50 in 2019!